Google’s ad blitz for its new Pixel phones has much greater reach than any other product ad campaign of theirs I can recall. We are seeing non-stop TV ads, carefully placed billboards in major cities, and even full four-page ads in newspapers like USA Today. But one thing I keep seeing accompany these ads needs some clarification. 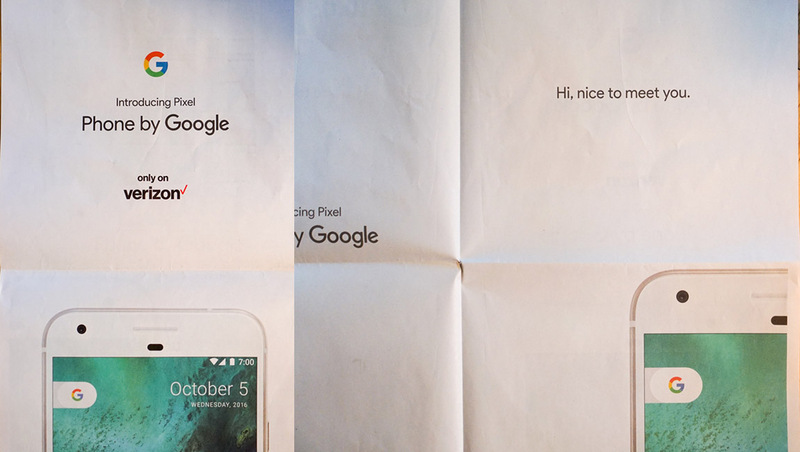 In almost all current Pixel ads, there is a note about them being “only on Verizon.” That, of course, isn’t actually true in a couple of ways. Sure, Verizon is the only carrier selling the phone in its stores, but you can buy the phone at Google’s own store and Best Buy in an unlocked state that will work on every single carrier. That’s right, the Pixel and Pixel XL work on all major US carriers, including the prepaid guys, Google’s Project Fi, and smaller MVNOs. The Pixel phones were built to be universally unlocked and connect without issue on AT&T, T-Mobile, Sprint, and yes, Verizon. Here, take a look at this Pixel supported networks list. See? So in case you had questions about all of that or your friends and family mention the Pixel, but suggest they can’t buy one because they aren’t on Verizon, remind them that those ads aren’t exactly correct.